It's been a long while since I posted about arts and craft projects made by my kids. 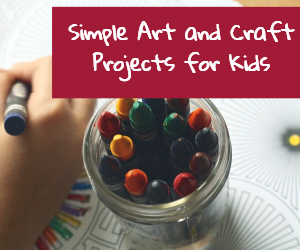 I can't use the title simple arts and crafts for kids anymore because the projects here are not simple anymore. These are made by my Grade 7 and Grade 8 children and their projects are not that easy to make. It takes more time, thinking and A LOT OF PATIENCE. 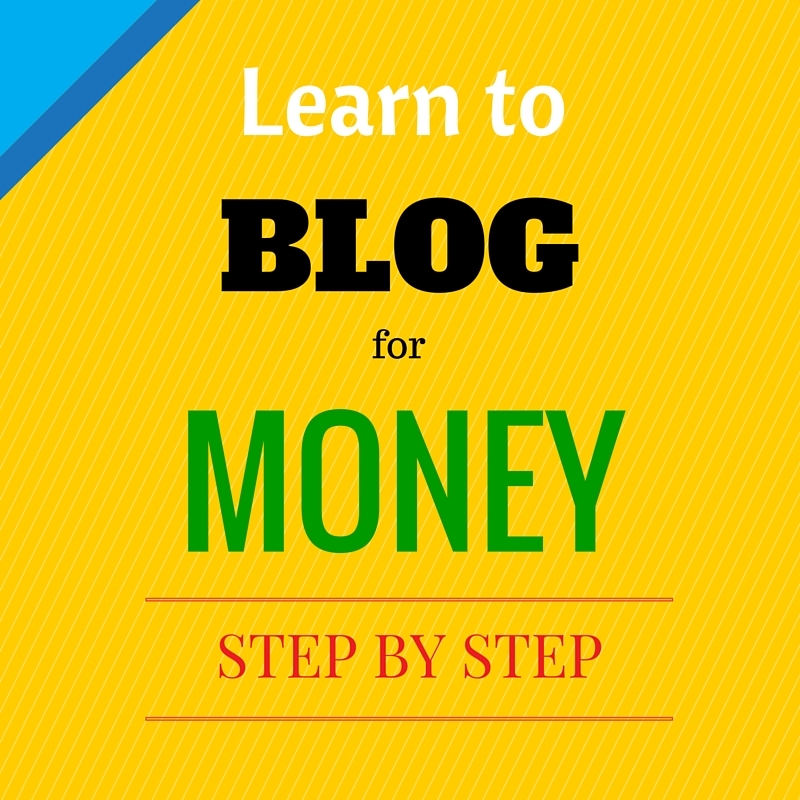 This project involves two basic steps. Making the doll out of illustration board and decorating the dress and accessories of the doll. She just copied a silhouette pattern of a person on the internet and traced it onto an illustration board. The second part is the hard part. The assigned theme to their class was the Penagbenga Festival. It is a flower festival celebrated in Baguio during the whole month of February. 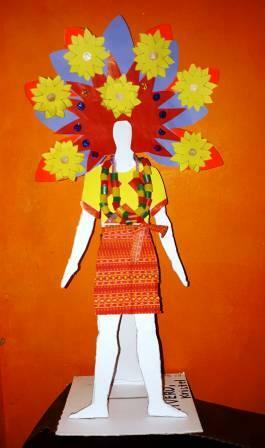 Most of the design was made of colored paper, except for the necklace and the skirt. The necklace is made of cut straw strung together and the skirt is made of cloth. Well, my daughter said it is supposed to be a sarimanok, the legendary bird in Maranao art. It is made of construction paper and she just followed this video tutorial embedded below to make it. 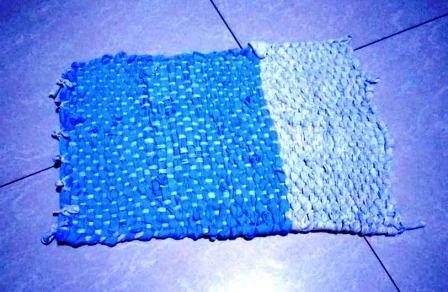 This project is a mat made of yarn. My daughter used an illustration board with cut slits on two opposite edges. I forgot to take a picture of the actual weaving she did. I just remembered to take a picture after the project was done. But I used her illustration board again to make a recycled mat made of old t-shirts. 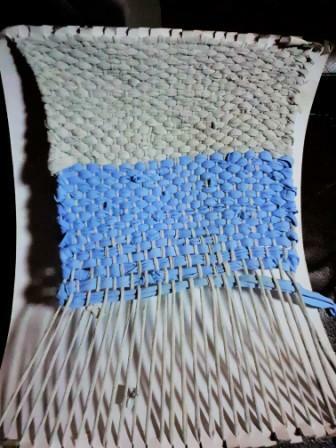 This is how it looked like while weaving. 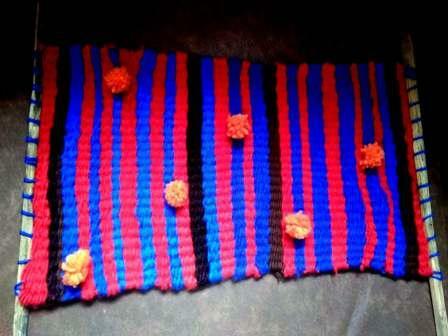 And this is the finished recycled mat. My older sons did this project before but I did not make a post of it. The carving project I mentioned here used candle. Anyway, the theme of my daughter's soap sculpture project is under the sea. 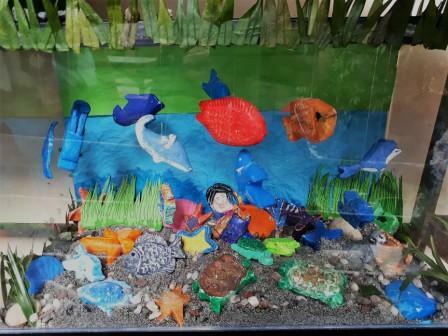 So their whole class made different sea creatures made of soap and they put everything in a decorated aquarium. There are fish, turtles, starfish, clam, sea horse, dolphin - there is even a mermaid soap sculpture. My daughter carved a turtle out of "Perla" soap which is just P10. The soap was very soft and she had to be slow and careful in sculpting. She used a small regular knife, needle and toothpick in sculpting. She just looked for a YouTube video to guide her in carving. I wanted to post it here for you but I can't find the exact video anymore. Afterward, she had to paint the turtle. The problem in using poster paint is it doesn't stick to the soap. 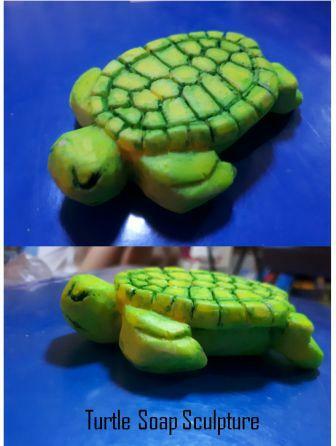 So, she had to use some spray paint and then used some poster paint to highlight the outlines of the turtle's shape. After the turtle is finished, the only improvement that she thought she should have done is curved the shell a bit more. Anyway, I think she got a high grade for this one. Well, that's all for this post. 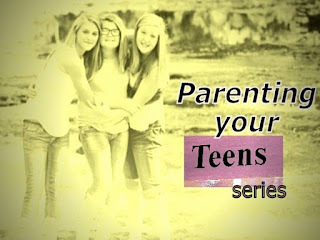 Hope to share with you some other projects soon. These crafts are so great! My kiddos are on the autism spectrum so crafts like these are perfect for their fine motor sensory needs! Such cool art projects. I like the paper bird. I remember making something similar when I was in school. Fun times. 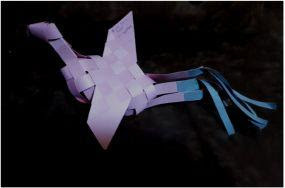 The paper bird idea is super cool! Seems like the perfect level of difficulty for 7th and 8th graders.